Hardened steel with welded links. Resistant to bolt cutters, chisels, hammers,saws and files. High strength, tamper proof for maximum security. Very high security, Integral Lock-head. Hardened steel closes shackle, sliding dust and waterproof keyhole cover. 90mm Stainless steel with plastic rust proof covering. 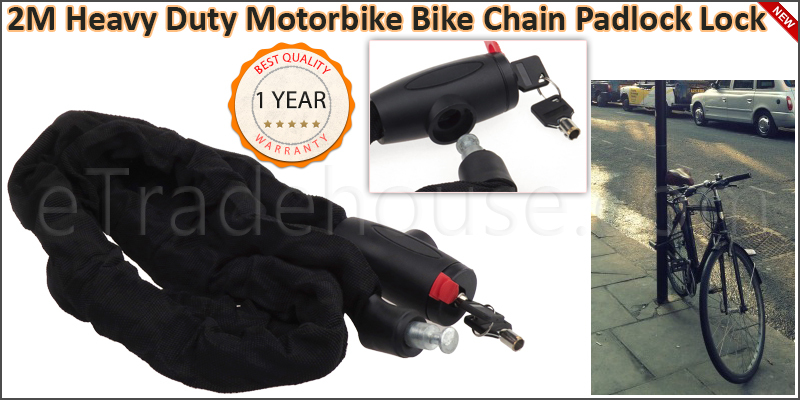 1x 2 Meter Bike Motor Bike Iron Chain Lock.